i) Evaporation takes place from the surface of liquid. ii) Liquid drops are spherical shape. ii) Gypsom salt is heated above 130°C. 21. Identify the major product Ⓐ and Ⓑ in the following reaction sequence. 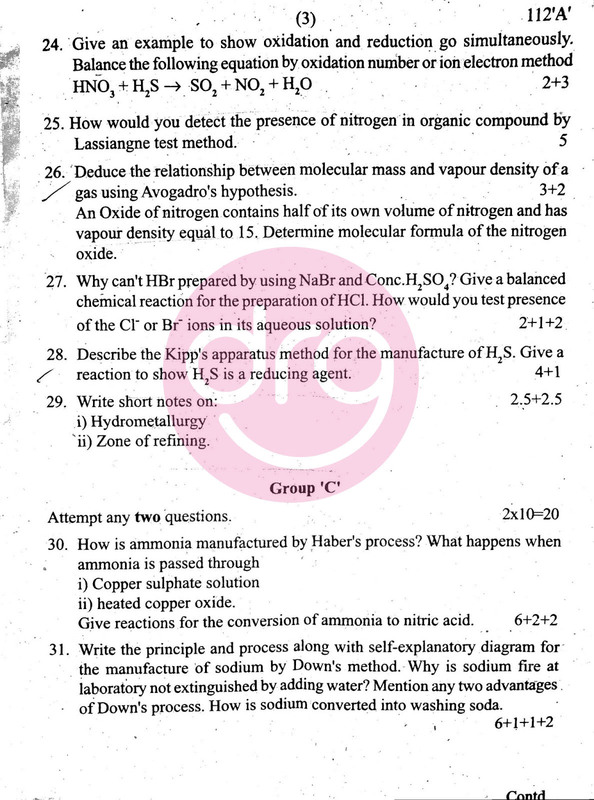 An Oxide of nitrogen contains half of its own volume of nitrogen and has vapour density equal to 15. 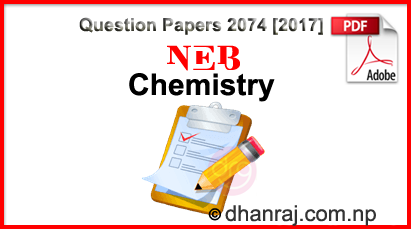 Determine molecular formula of the nitrogen oxide. i) Characteristics of homologous series. 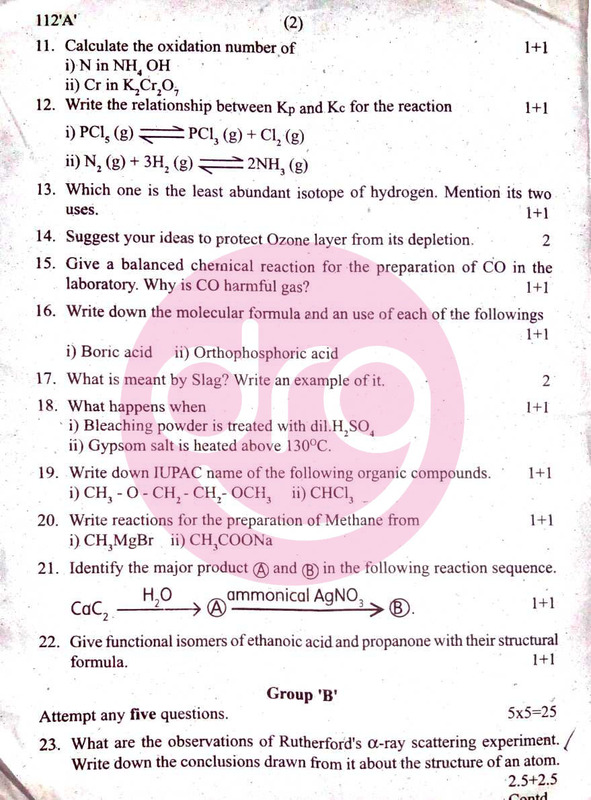 ii) Laboratory preparation of ethyne. iii) Mendeleev's periodic tables and it's anomalies. 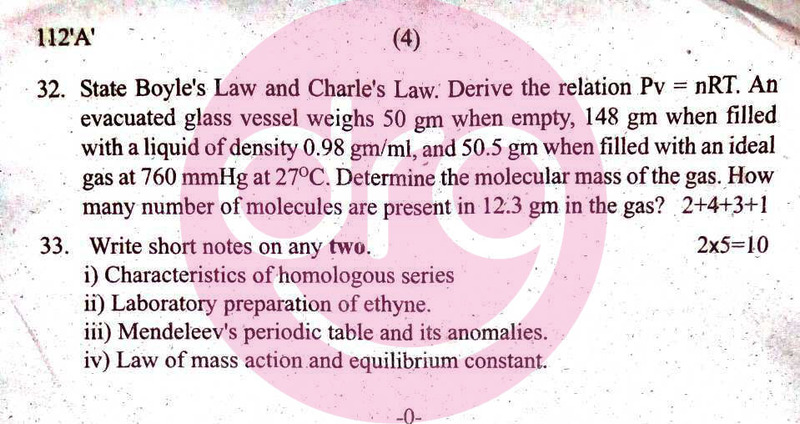 iv) Law of mass action and equilibrium constant. 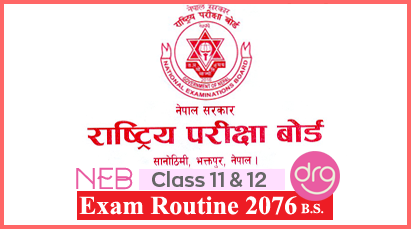 0 Response to "Chemistry | Grade XI | Examination Paper 2074  | National Examinations Board"